Can we train ourselves to be happy? It’s all in the brain. 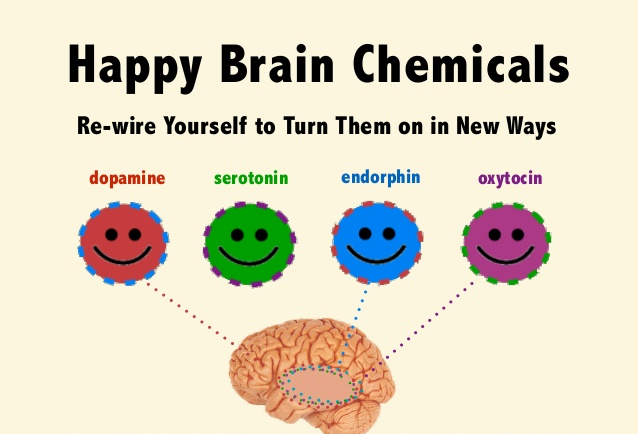 The release of four chemicals in the brain is the reason behind your happiness. Happiness is a broad term for many feelings and emotions. It can be pleasure, contentment, joy, feeling meaningful etc. You can call dopamine the ‘reward chemical’. Next is oxytocin - you can call it the ‘cuddle chemical’. We all love feeling confident and important. But before you thank your partner for your good mood, thank serotonin first! It’s the ‘confidence chemical’. Finally, there are endorphins - the ‘pain killer’. Science does say that we can take control of our happiness. We can train ourselves to be happy by knowing what makes us feel good and what will release these chemicals. We do have the capacity to turn bad into good. The possibility of getting a reward triggers a dopamine release and you feel good. And then again there’s a pleasure kick when you actually win the reward. Say you’re playing a video game, you’re charged and excited to go to the next level, which is the reward and then you’re doubly excited when you win. It’s the feeling of trust, closeness and intimacy you have with people you share a good bond with. Two people giggling in love, a baby playing with a dog, a parent with their child - all of that releases oxytocin and makes you feel that cuddly happiness that makes you go aww. Oxytocin is a neurotransmitter and a hormone that is produced in the hypothalamus. Concentrate on hypothalamus during meditation exercise. It’s released when you feel significant and worthy. And a lack of serotonin makes you feel lonely and depressed. Endorphin is the body’s natural morphine. It’s released when we feel physical exertion. That means you focus on positive events in life to feel good. We’re all trying to find and chase happiness, but at the end of the day science says - it’s more or less in your hands! In conclusion: You might not have a money tree, but you can have a happiness tree. 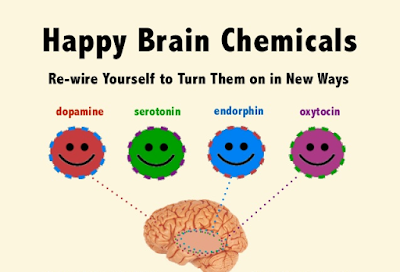 DOPAMINE, OXYTOCIN, SEROTONIN AND ENDORPHINS hormones are responsible for your happiness. Many situations can trigger these neurotransmitters, but instead of being in the passenger seat, there are ways you can intentionally cause them to flow. Practice Meditation....Concentrate on various psychic-centres and visualise bright colours....Feel good...Enjoy the peace within. Connect with Jyotindra Zaveri on Social Media to get updates pertaining to Healthy Lifestyle, Meditation and Yoga! SLIDESHARE: Follow. 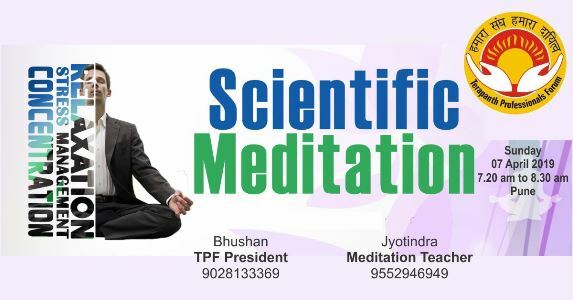 PowerPoint Presentation - Meditation explained scientifically - Preksha Dhyan https://www.slideshare.net/jzaveri/meditation-explained-scientifically-preksha-dhyan You may download. This blog post is written by Jyotindra Zaveri Specializing in teaching meditation, without any religion bias, from scientific point of view.